Real Estate Websites Must Be in a Constant Growth Mode! You’ve Launched Your Real Estate Website, Now What? So what’s the next step after designing, developing and launching your real estate website? It’s all about content building. Obviously you want people to see your website (organic traffic) – the key is to build a portal to get home buyers and sellers to your site and then show so much value that they come back. Content building may sound a bit daunting, but it’s very similar to building a relationship. While the content speaks to your site visitors, it’ll also be speaking to Google. Your Valuable Web Content Builds Relationships! When you start out, you can’t expect Google to instantly fall in love with a portal that lacks credible information and leave it at that. Your content over time (along with link building) establishes the necessary trust for Google to display your website as a true real estate resource. In time, that trust will also transfer over to your website visitors too. With that said, your content is “evergreen” meaning once it’s created, it’s there forever. You’ll want to put in the time, effort and resources to ensure that content represents your website as a valued source in your real estate market. In a nutshell: If you want your website to feed you, feed your real estate website with quality content. Here are some great ideas to get you on your way to creating outstanding valuable content in the eyes of your prospects and search engines too. Hyper Local Content is The Ticket! 1. The foundation of your real estate website is your IDX property search solution. Next, from a content perspective is your hyper local content! One of the best ways to be seen as a knowledgeable local real estate expert is to offer awesome, detailed neighborhood and condo building information! When generating this content, think like a home buyer. What information about a neighborhood would benefit them? How about details like lifestyle amenities? What about available listings for sale in the neighborhood? When the local neighborhood HOA meets. Where kids can play, swim, or ride their bikes? Offering this empowering information will also help you attract more qualified engagements to your site as well. 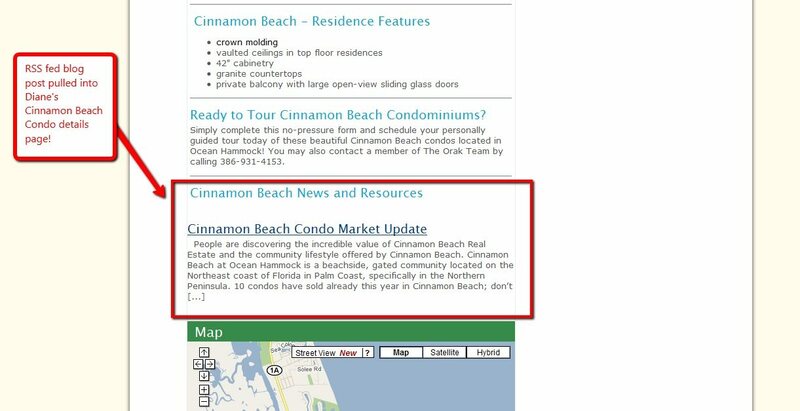 You might want to use these examples of condo building details pages and neighborhood pages when you create your neighborhood and condo building details pages! Maintain Your Real Estate Blog! 2. Keep your WordPress real estate blog up to date! Speaking from experience, maintaining a blog is hard work, especially if you are busy! 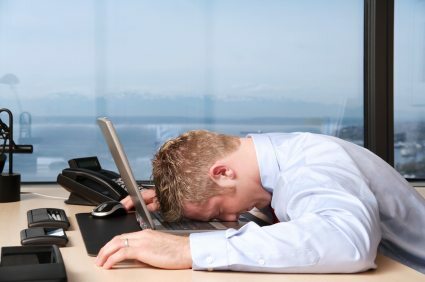 Old, inaccurate information won’t bode well with your website visitors. Don’t forget to back link from your blog posts to your internal hyper local pages in your area section and and condo and neighborhood pages. Checkout Diane Orak’s Palm Coast Real Estate Blog and how she wrote an excellent post on a market update for one of her targeted Palm Coast condo buildings! Encourage Your Visitors to Hang Around! 3. Create a Sold Data landing web page for each area and a subsequent Sold Data pages for all your neighborhoods and condos. For an example, see this Sold Data landing page for Hudson River condos. 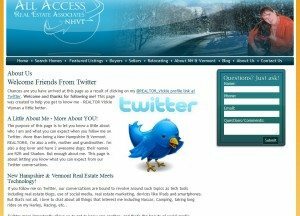 (This section almost doubled Walter’s Hoboken real estate condo site visitor time onsite!) Since implementing her sold data landing page and drill down pages for her local Palm Coast condos, Diane Orak’s site traffic is blowing up! It’s All About Offering Choices! 4. Make a comparison page of your neighborhoods and condos. Check out this awesome Hudson River condo comparison resource! 5. Use Google’s MyMaps to create unique maps that cure a pain. Identify the type of map your visitors would find extremely helpful. This is an excellent example. Add Sizzle to Your Real Estate Web Site! 6. Real Estate Video is “HOT!” Make an area real estate video landing page and create custom YouTube players based on your YouTube play list. Dakno clients Stephanie Young and Marie Sue Parsons did a nice job integrating a Santa Barbara real estate video landing page with custom YouTube player. 7. Want to be validated as an “area expert?” Gain news media credibility and create an online newsroom for your press releases. LA Real Estate Agent Valerie Fitzgerald offers a terrific example as does Raleigh REALTOR Linda Craft! Get Social – But Be Targeted! 8. Create targeted your social media landing pages. For an example, look at @REATOR_Vickie’s Twitter landing page for her All Access Realty’s website! 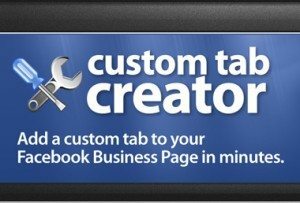 Dakno Introduces Iframed Facebook Fan Page Custom Tabs! 9.We recently rolled out a new Facebook App feature to allow Dakno site owners to create pages on their site that can be easily iframed on their Facebook fan page. Option #1- Create a welcome tab for non-fans inviting non-fans to become fans and Option #2- Create a custom real estate tab on your Facebook fan page to offer your calls to action to nudge traffic from your Facebook fan page to your website. If you are a Dakno client, you can implement this incredible enhancement. Contact us to let us know what type of custom tab you would like us to design. Turn Static Pages Into Dynamic Pages With RSS Feeds! 10. Last but not least, make sure to update hyper-local content to cover events and market updates in your area by putting the power of your blog to use. With your Dakno Agent Backdoor system you can easily RSS feed dynamic hyper local content from your blog into your neighborhood and condo details pages. With these options, you’re on your way to having expansive, quality content! Now It’s Your Turn to Brag! Feel free to leave a comment and let everyone know what unique content you have created on your real estate website that you are proud of. Don’t forget to leave us a link to the content.